The system we have been watching in the Atlantic over the last few days is looking less likely the it will develop. 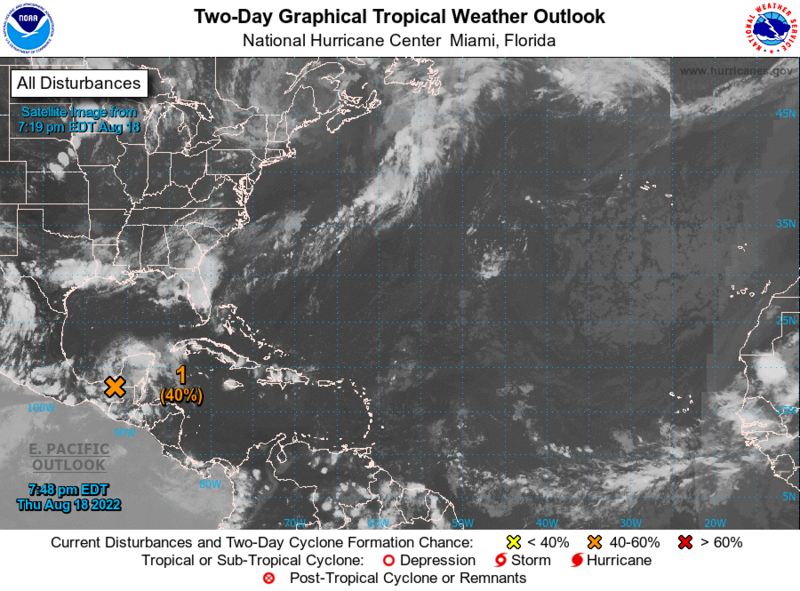 Disorganized showers and a few thunderstorms moving through the Leeward Islands are associated with a tropical wave interacting with an upper-level low. Strong upper-level winds and interaction with the islands of the Greater Antilles, while the system moves generally westward, should inhibit tropical cyclone formation. Regardless of development, this system is expected to bring locally heavy rainfall to portions of the Leeward Islands, the Virgin Islands, and Puerto Rico over the next few days.